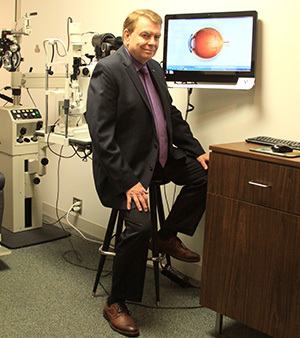 Dr. Robert A. Lohman knows "Prevention is the key to life-long vision care"
For nearly two decades, Lohman Eyecare Associates has been providing residents of Stow, OH, with high-quality optometric care and services. Our personable optometry team will help you identify and pursue the best course of action for your eyes and your lifestyle. Let us help you see clearly each and every day! Since 2000, Lohman Eyecare Associates has been a premier eye clinic in Stow, OH. We’re proud to provide each of our patients with personalized care solutions that meet their specific needs. We emphasize the overall health and well-being of our patients’ eyes and use state-of-the-art technology and tried-and-true practices to diagnose conditions that could be affecting your vision. From there, we offer a comprehensive range of treatment options designed to improve your quality of life and provide you with the confidence necessary to succeed. Our independent optometrist, Dr. Robert A. Lohman, O.D., will help you identify and pursue a successful course of vision remediation and eye care! Lohman Eyecare Associates offers a robust range of eye care services. We’re capable of performing comprehensive eye exams, contact lens exams, cataract evaluation, dry eye evaluation and treatment, contact prescriptions, new glasses, diabetic eye exams and more. We also specialize in diagnosing and treating glaucoma and macular degeneration, as well as fitting specialty contacts, including bifocal contacts. We offer comprehensive eye care solutions, ranging from diagnosis to treatment. Dr. Lohman is one of the top optometrists in Stow, OH with years of proven patient care. We specialize in the treatment and diagnosis of glaucoma and macular degeneration. Our team specializes in fitting and furnishing contacts, including bifocal contacts. We are one of the only eye clinics in the region that uses a Matrix Visual Field Machine. You shouldn’t have to suffer bad vision or eye pain. Contact Lohman Eyecare Associates today to begin your eye care journey. We’ll give your vision the personalized attention it deserves.